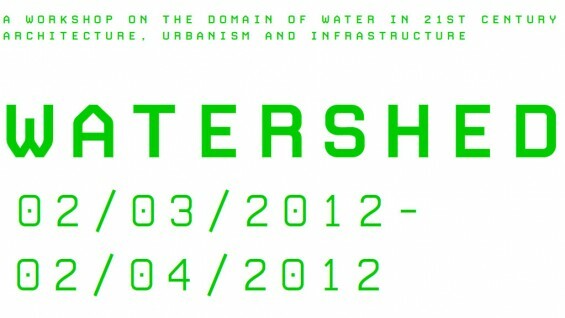 Following the Watershed Atelier in Paris, France (2011), the Watershed Workshop in Los Angeles, California cuts a cross section of the earth in relationship to water extraction and harvesting. The workshop is subdivided into three sections: Air to Surface, Surface to Surface, and Subsurface to Surface. Each section engages the gravity and cycles of water through a particular lens and its multiscalar relationship to cities. Rather than create a standardized nomenclature based on scale or theme, the three panels address the processes shaping watersheds in terms of water migration, extraction, and harvesting. In this way, we can better imagine the gravity and cycles of water in relationship to mobility, energy, infrastructure, agriculture—all decisive elements in unleashing the latent opportunities of watersheds. Organized by Mario Gandelsonas, Anthony Acciavatti, Joy Knoblauch, and Sara Stevens of Princeton University's Center for Architecture, Urbanism and Infrastructure; Dana Cuff of UCLA's Citylab; and Tom Wright of the Regional Plan Association.